Ah, beer. How I miss you. For a long time people have been telling me that I can still drink Corona, which is a hard no thank you (no offense to all the Corona lovers out there!). That said, there’s a few great craft gluten-removed beers on the market, from pale ales (probably the most common) to lagers. But what does “gluten removed” really mean? Is it celiac-safe? Let’s discuss. Gluten-removed beers are typically championed because they taste like real beer. 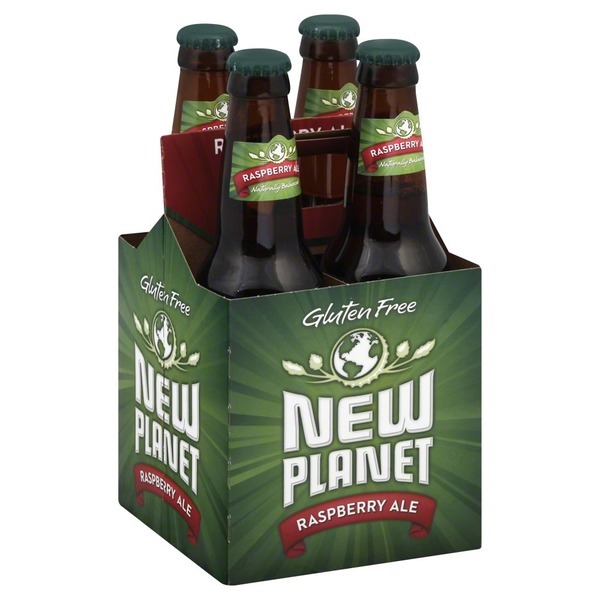 I don’t know how many times I’ve tried a truly gluten free beer and been disgusted, but it’s a lot. This is, in part, because I’m not a huge fan of hops; I far prefer a sweeter, maltier beer to a hoppy one, and many of the gluten free beers I’ve tried in the past tend to make up for their lack of malt with an abundance of hops. If you’re an IPA lover, this is great news for you! If you’re like me, though, you may want a softer beer with bready but refreshing finish, this hoppy trend poses a problem. The thing that makes gluten-removed beers taste like the beer I know and love is that it essentially is the beer I know and love. It’s still made with barley (gasp), but brewers introduce an enzyme like Brewer’s Clarex to reduce gluten in the beer. This method reduces the amount of gluten in gluten-reduced/removed beers down to 20 parts per million or less (Daura Lager cites that they have less than 3 gluten parts per million in their beers), which enables them to declare themselves as gluten-removed, or as a beer crafted to remove gluten. So what does this mean for us gluten free folk? Well, that depends. On what, you might ask? On your gluten sensitivity. If you read the above paragraph and thought 3 parts per million is still 3 parts per million more than 0 parts per million, and therefore not gluten free, then you would be correct: these beers are not truly gluten free, and therefore are likely not celiac-safe, though I have heard from numerous diagnosed celiacs who have no problem drinking the gluten-removed beers. On the other hand, if you’re a gluten intolerant or gluten-avoidant person who, for example, can tolerate the cross-contamination of a shared fryer without illness or irritating symptoms, then these beers are probably fine for you to drink. Ultimately, whether or not these beers are safe for you to drink is up to the severity of your diagnosis, and where you fall on the gluten-free spectrum. As a person who is gluten intolerant but not celiac, I’ve found that, for the most part, these beers do not trigger the immediate symptoms of glutening (stomach pain/discomfort/unsettling, rash, headache). Are you celiac or gluten intolerant? Have you tried one of these beers before? Let me know your experiences in the comments section, I would love to hear them! Especially if anyone has had an adverse reaction to a gluten-reduced beer, I would be very interested in learning more. Finally, see below for a few gluten free and gluten removed beer options! I will be doing ongoing reviews of these beers as I can get my hands on them, so watch this space for more options to come. Hello, upgraded breakfast! I tend to find myself getting into breakfast ruts a lot more than I used to. I’ve always been a sucker for toast, and even though this dish is best enjoyed on top of some gluten free multigrain bread, I’m always looking for ways to add both more nutrition and more variety into my breakfasts, especially when it comes to your standard toast-and-eggs fare. Paired with a little bit of breakfast for my omnivores out there, this is one of my favorite go-to breakfasts when I have a little extra time on my hands. So what makes this breakfast so good? First of all, it’s definitely packed with nutrients. When combined, curly kale and sundried tomatoes provide a huge amount of vitamins A, C and E, iron, and magnesium. Adding some chives to the dish embolden the flavors and add a complexity and freshness that makes this feel like a superhouse springtime dish. So how do you make it? It’s easy! Wash and de-rib your kale, then tear it into relatively small (bite-sized) pieces. If you have dry sundried tomatoes (ie, not packed in oil), reconstitute then in a little olive oil for about 5 minutes while you prepare the rest of the ingredients. Chop chives into small pieces, and then put your eggs in a bowl and combine with a splash of milk, salt and pepper. You could also add some ham to this dish if you’re really trying to get your protein in! 1) If using dry-packaged sundried tomatoes, place into a small bowl and cover with olive oil for 5+ minutes, or as long as it takes to prepare other ingredients. 2) Prepare your kale. Wash thoroughly, then remove hard center core and tear into bite-sized pieces. Chop chive into small circlets. 3) Crack two eggs into a bowl and add milk, salt and pepper. Beat with a fork until combined. 4) Add butter to frying pan and heat over medium heat. 5) While butter is melting, add kale, sundried tomatoes and chives to the eggs and beat to coat. 6) Once butter has melted to coat the bottom of the pan, add eggs and use a spatula to stir. This is not an exact science, so have fun with it! 7) Once eggs begin to brown slightly and there’s no runny bits left, remove from heat and serve. I personally like it over some multigrain GF bread and with a side of bacon!